And it sounds horrible, need it on vinyl. How to leave a comment..... ? Is There Anybody Out There.......? I was hooked on Pink Floyd the first time I heard Another Brick in The Wall on the juke box in the doughnut shop!!! I never win anything. Please change my luck! ...use a new copy. Sweet! My original copy has a good scratch on Goodbye Blue Sky so this would be much appreciated. ...a gift horse in the mouth. Not really sure what that means but I'd like to win this record. I'd love to hear it sounding like new. Thanks for the chance. Since I already have the British 2nd pressing and Japanese pressing, this new reissue would complete the set. I needs a replacement, please! This is 96/24 digital, right? On memory.... A digi LP. I'll stick with my original copies. Which sound great. I would LOVE a copy!!!! Maybe this time. Need a new copy. That would be lovely. 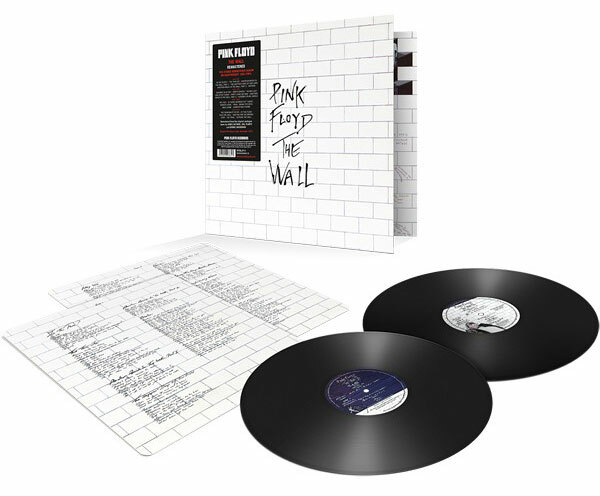 I don't have any Floyd on vinyl and would appreciate the opportunity to rectify that. Thanks for the sweepstakes! this on vinyl. I like Van's version of Comfortably Numb. Yes would like to win! Never owned it, but love the music. My cassette tape from the 80's disintegrated long ago! on any format, would love this to be my first copy. So don't give it to me. This is the place to send it! Thanks! ...Piper at the Gates of Dawn fan myself but this will do. I would love to get a new copy, luck of the Irish hopefully. I was just shopping for a good copy of this. Is this reissue sourced from digital? This pressing should be heads above all others... it would be an honor to crank it up and enjoy one of the best albums of my youth! I well remember seeing the movie when it first came out! I have the original LP. Would love to hear it on 180g vinyl! Would be pleased to add this to my collection. The early pressing I bought used is not in very good shape so I would really like this pressing. I am betting there was a digital step involved but it should still sound good considering the folks involved. Here's to hoping that I win. ... brick in my wall of records. I need another copy like I need a hole in my head. But I'll take another! Would love to add this 180g reissue to my vinyl collection. I understand that this is President Trump's favorite album. I would love to add it to my collection. If I won this, I would actually upgrade my turntable! Include me in this game. I can definitely use another copy of that. I would love to win the vinyl sweepstakes. My kids don't take care when playing my albums. I need a new Wall. My first concert as a wee lad at Nassau Coliseum in 1980. Tough first concert experience, eh? The recent remasters have been great. Thanks! I really miss my original 1980 pressing. I was in college in NYC in 1972. Went to the midnight show at Radio City Music Hall for the premier of Dark Side of the Moon.The first half of the show was Umma Gumma after an intermission they performed Dark Side.I slept through it,as I have most PF recordings since then! I would love to have this digital version on vinyl. It's as if we are in the 80's buying CD's. Only the digital source in on vinyl now. It should be called Digital Vinyl Resurgence. Give me 0' and 1's. I want this version so bad. My then girlfriend, now wife, gave me a copy for my 19th birthday. That was 38 years ago! Time for a replacement copy! I really need a new copy, mine is 37 years old. My wife was at the 1980 concert in Los Angeles seated in the third row. I always hated her for that, LOL! Saw Roger's Wall tour a couple years ago. Easily the best show I've seen. Would love to have this reissue on vinyl! This album had a very important presence in my life. It hit me right when I was going through major events in my late teens and it provided some relief from my teenage angst and concerns. Powerful music! I had to have this album when it come out but ended up getting it on 8 track. Which I've long since lost. Would be awesome to win! ..with the original I have. I hope The Wall is as good. This seems like a good reissue series. This was one of my favorite albums in high school. It would be great to get this from my kids so they can start their own analog journey for music appreciation. I noticed my 12 y/o humming "Rocky Racoon" from the Beatles's White Album this morning. WIN THE WALL! WIN THE WALL! I have not read the previous comments, just trying to be cute. Not having heard the original UK, but pretty much the rest including this one, I prefer the the 1st edition US. Just my 2 cents. the Wall Russel Crowe is a great actor. Whew that was bad. ...my copy is a bit shelf worn. Is worse for ware so winning this copy would be grand. Pink Floyd is wonderful!!! I'd love to be a winner !! …how this compare to my original US pressing? Is this my lucky day? and I want Michael Fremer to pay for it. I do need education and I do need another WALL! Don't have this on vinyl yet. Hope I am the lucky one! Need to get a vinyl copy. I can upgrade from my original 8-tracks. Great opportunity - best of luck to all! sign me up sounds great ! What a great album to give away. Sounds like a splendid lineup of folks working to release this updated pressing. I'd love to hear it in my home! you can't have any pudding! Need this one for the collection. Fingers crossed! The fix is in! Lets do this! Would love to hear this version. I turned my 5 children, all young adults, and many of their friends, onto the analog expierience about 3 years ago and we have been having album nights for them ever since. I played them my clean copy of Dark Side of the Moon and they went wild for it. I would love to turn them onto The Wall. That I would love to own on 180 gram vinyl! Based on recent events, I need some education. Add one more to the pile! Would love to win this LP.